Measuring, managing and communicating of corporate performance. 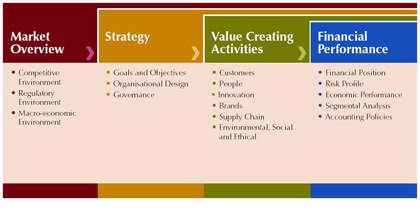 Explanation of ValueReporting Framework of PWC. The ValueReporting Framework™ is an approach by PricewaterhouseCoopers (PWC) for measuring and managing corporate performance and structuring communications about that performance. The traditional corporate reporting model no longer meets the needs of the companies that report on their performance to investors and other stakeholders. ValueReporting is PricewaterhouseCoopers' innovative approach for performance measurement and corporate reporting. It was designed to meet investors' needs for more and better information. Public trust in those responsible for reporting corporate performance information has been shaken to its foundation. Investors and other stakeholders are demanding greater corporate transparency. ValueReporting supplements traditional financial reporting. 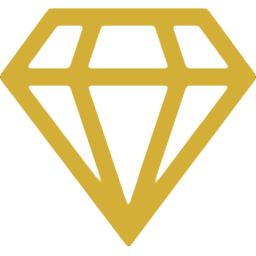 By helping companies provide a more detailed, transparent picture of their performance. Regarding market opportunities, strategy, risks, intangible assets, and other important non-financial value drivers. Based on PricewaterhouseCoopers' capital markets research, the Framework provides a structure for internal and external reporting of both financial and non-financial information along broad categories. Market Overview, Value Strategy, Managing for Value and Value Platform. Each is broken down into specific elements for more detailed and transparent reporting. The Value Platform category, for example, includes all activities and relationships that underpin how the company creates value. These include such intangible and non-financial measures as products, customers, people, innovation, supply chain and corporate reputation. Market Overview. Describing the industry dynamics facing the company, including the competitive, regulatory and macro-economic environments. Strategy. Covering the strategy of the company and its goals, objectives, organizational design and governance structure. Value Creating Activities. Describing the activities and relationships that underpin financial performance, including key non-financial areas relating to customers, people, innovation, brands and the supply chain, and environmental, social and ethical concerns. The relationship between risk and return. The ability to generate cash. Reconcile the internal performance measures to results that are reported externally to stakeholders.